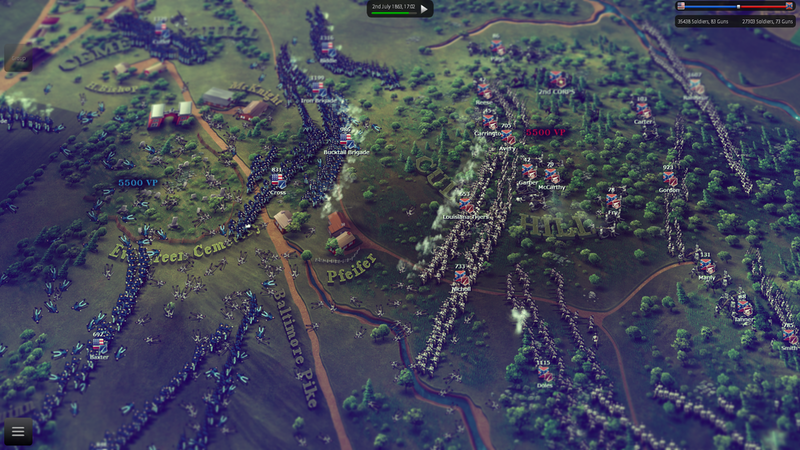 Ultimate General: Gettysburg is a critically acclaimed tactical battle simulator that allows you to lead thousands of soldiers in the battle of Gettysburg as commander of either the Union or Confederate army. Elevation and obstructions will affect unit visibility realistically. Units may make use of concealment and cover to survive artillery barrages, stage ambushes and more, but beware – the AI will attempt to do the same to you. The units enter or exit the Fog of War gradually with a fade in/out effect that helps you perceive their hiding and course seamlessly. 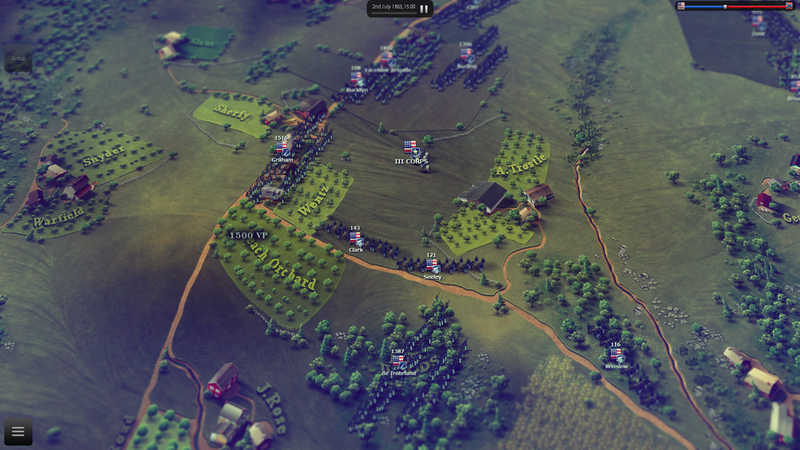 In Ultimate General: Gettysburg, you will realize that army units are not “machines” that blindly follow orders, but will need to conserve strength and courage for decisive battle actions. 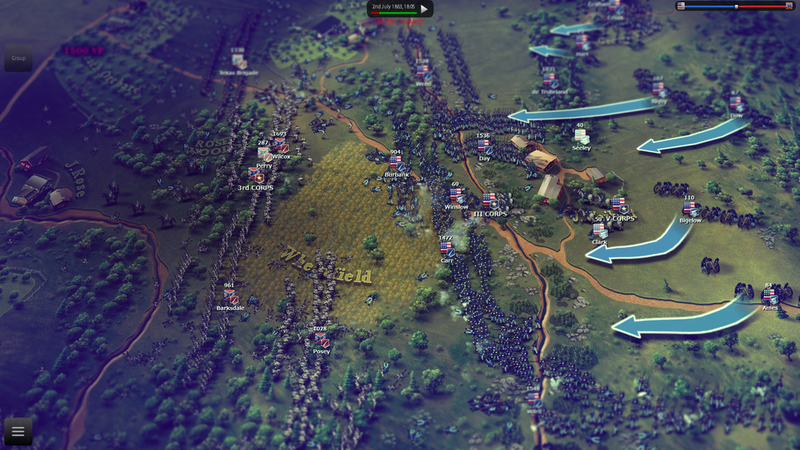 Every basic tactical element that is expected for a strategy game is incorporated into gameplay. 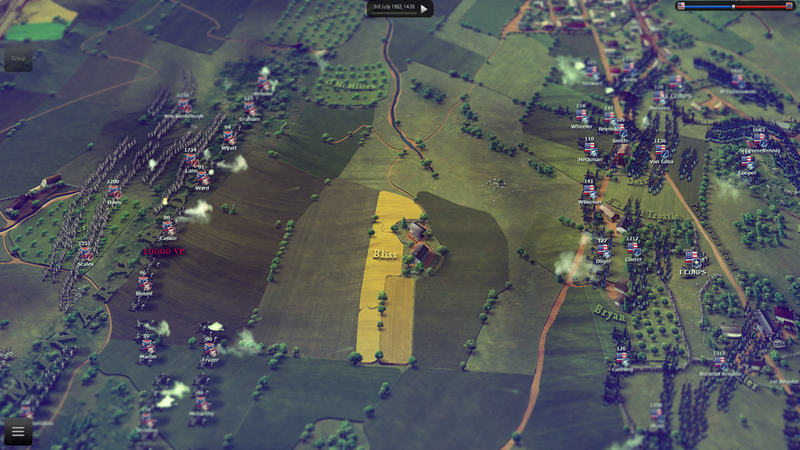 Most importantly, morale is affected by many factors including flank or rear attacks, casualties, volley shocks, artillery fire and fatigue. The game was redesigned from the ground up to provide good usability and playability on tablets and smartphones. The dynamic campaign is replaced by 10 special missions for each side. The user interface is enhanced and more adequate for handheld devices. The tactical combat and its features were tuned only slightly in order to experience an alternative level of strategic depth and challenge on iPad and iPhone. Multiplayer is not available. 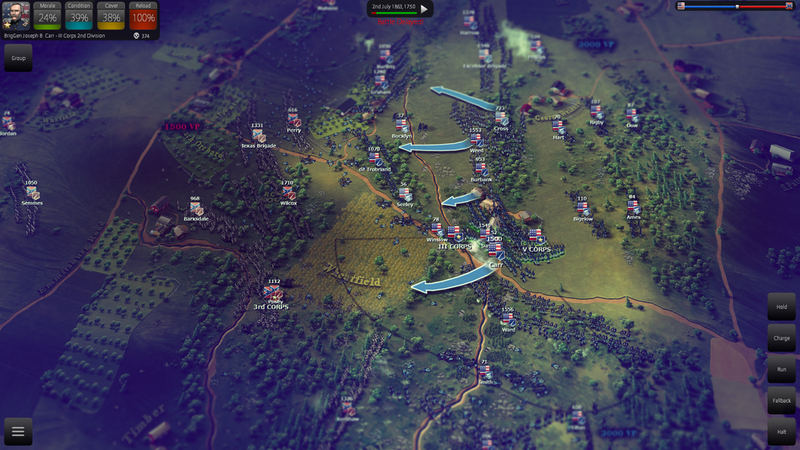 Ultimate General: Gettysburg was developed by Game Labs and designed by Nick Thomadis, known for his successful and popular “DarthMod” series. With this first project, Game Labs wished to give birth to a new strategy brand that would gradually evolve and expand into different eras.